Prior to joining North American, John was employed by Hughes Aircraft Company of Culver City, California, where he served as a Field Engineering Representative with the USAF 30th Air Defense Command. He was assigned to work with the 343rd Fighter Group for several years, and was commended by the Air Force for his service. His duties included instruction and maintenance assistance to USAF technicians and pilots on the weapons control system in the F-106 Fighter/Interceptor. John had previous experience on these types of systems as a technical representative at Norton AFB in California, Kelly AFB in Texas, and Lockheed Air Service in California. He served in the U.S. Navy with the Occupation Forces in Japan, and with the Seventh Fleet during the Korean conflict. He joined North American Aviation in 1963, and was initially assigned to present Apollo spacecraft systems familiarization briefings. He prepared and presented courses on the "Carry On" Ground Support Equipment (GSE) used in the checkout & acceptance testing of the Apollo Command and Service Modules. He also conducted "Common Usage" GSE equipment courses for Grumman Aircraft engineering and test personnel who were assigned to checkout and perform acceptance testing of the Lunar Module (LEM) at Bethpage, NY. John presented these courses to North American Rockwell and NASA engineering and test personnel at the manufacturing facility in California, and at the launch complex in Florida. He was later assigned to conduct courses on the Apollo Telecommunications and Stabilization and Control Subsystems of the Apollo CSM for Astronauts and NASA Flight Controllers. He worked with the training team, under the direction of Astronaut General Tom Stafford, to brief the Russian Cosmonauts in preparation for the Apollo-Soyuz mission. He coordinated the development of programmed instruction textbooks for the NASA Flight Control unit. He was Lead Instructor of the Apollo Electronics Systems Training Group, and served as Supervisor of the Training Department later in the program. John was a member of the National Management Association (NMA) and active in this capacity at the North American Rockwell Space Chapter. He was elected to the office of Secretary of the Space Chapter, and later as Vice President. As VP, he prepared a management-training curriculum for the general membership, consisting of 1200 personnel. He also conducted management development seminars for the Southern California Area Council of the National Management Association. 1. Outstanding Performance Award for presenting 1000 hours of Apollo instruction. Presented by Astronauts Tom Stafford, John Young, and Gordon Cooper. Also shown receiving the award is Instructor Freeman Matthews. 2. letter of commendation from Astronaut Jim Lovell, Commander of Apollo 13. 4. The Astronaut Personal Achievement Award (Snoopy pin) presented by Astronaut Al Worden. 5. NASA Award for Service. 6. As Vice President of the Management Association, (Rockwell International -Space Chapter), John Presents award certificates to members at a general membership meeting in Long Beach, CA. Also, during his service with the National Management Association, he was commended by the the President of the Board of Directors of the Space Chapter for his participation in conducting a Management Development Seminar for the Western Division of the NMA (1974) at the Jolly Roger Inn near Disneyland, in Anaheim California. 7 Commendation by the USAF Air Defense Command for services performed as a field engineer for Hughes Aircraft Company on the weapons control system of the F106 . This service gave foundation and experience for a later assignment with Rockwell International in working with the NASA as a contractor representative in their training department at NASA JSC in Houston, and the Kennedy Space Center (KSC) launch complex in Florida. John hails from the southeastern US, living and attending school in the beautiful hill country communities of Central Tennessee, and the Tennessee Valley in Alabama. His technical training began in the United States Navy, and continued in engineering and technical schools in Southern California. His permanent residence was in Orange County California during most of his career in Aerospace. He now resides near where he grew up in the Tennessee Valley. His retirement activities include gardening and maintaining his modest retirement home near the Tennessee River. John's interests are mainly in the area of communications media, with a special interest in computer science and early web publishing. He is the publisher of this site (webmaster) with the dedicated support of several team members. Current hobbies include vintage boat restoration, with occasional cruising and fishing on the river near Pickwick Lake. He is also a licensed Amateur Radioman, but has been mostly inactive for several years. John, as well as several other members of the training team, credit Amateur Radio for launching their interests and career in the field of electronics. Don was an East Texas farm boy, forced to leave the farm in 1944 since his home was destroyed by fire. Beaumont Texas was the next stop, where Don finished High School in 1951. Afterwards, he continued his education in college at Lamar State College of Technology where he studied electrical engineering. He left college in 1953 to join the United States Air Force. Don jokes about his so-called "overseas" assignment since it was in St. Johns Newfoundland. Don says, "that's one of the few places on earth where one can have dense fog with a wind velocity of 60 knots." His specialty in the USAF was automatic flight control systems, and he was assigned to the General's maintenance crew. Don functioned to keep the Generals autopilot and many others working properly during his two year tour there. Additionally, he modified instrument and electrical systems for arctic operations. "The duty was rough at times, "according to Don," but offset by a lot of good times as well." Among Don's most intriguing assignments was the transporting of Cardinal Spellman on his trip around the Northeast Air Command before Christmas. Don indicates that he was the only non-Catholic member of the crew but spent several hours in discussion with the Cardinal. According to Don, it I was these talks and those with the Command Chaplain that helped Don focus his religious convictions that have remained with him to this day. Don was honorably discharged from the USAF in the fall of 1957. He returned to college and later earned his BS EE degree. His first career assignment was with the Boeing Company in Seattle, Washington where he was assigned to the flight control system on the DYNA-SOAR project. This program was a manned or unmanned space plane with a skip-glide reentry profile. Both his engineering degree and his military teaching experience of approximately eighteen months were instrumental in his selection for this assignment at Boeing. Disarmament was the order of the day in those times, and since the DYNA-SOAR carried a weapons system designation, the program was discontinued and Don was reassigned to the Minuteman program. This assignment led to his joining North American Aviation in Downey California. North American was staffing the Logistics Training Department at that time (1962), in preparation to support the NASA Apollo program. Don was assigned as lead instructor for the Apollo flight control system, and was specifically assigned to prepare and present courses for Apollo astronauts, flight controllers, launch operations and engineering support personnel. Flight crew and flight controller training began in early 1964. Prior to that time classes were being conducted for company personnel at the manufacturing and launch facility. Don worked with Honeywell instructor/engineers Fred Herman and Frank Mussato to develop and implement the training. The complexity of the Apollo Stabilization & Control system required the three instructors to cover the various subsystems, so they performed as a teaching team. Don recalls that the first astronaut classes were conducted at Ellington AFB near Houston, when the now famous Johnson Space Center was under construction. He also recalls his manager's words before leaving to conduct the first class, "make it good or don't bother to come back," he echoed. Don stated that it must has been good since he spent most of his time either traveling or presenting classes on the Apollo guidance & flight control systems until he resigned in January 1968. During Don's career at North American he presented classes to astronauts, flight controllers, engineering and test personnel at the Johnson Space Center (JSC), Kennedy Space Center (KSC), MIT, Lincoln Labs, AC Delco, and to company personnel at Downey, California. Don and an associate instructor Al Sohler, were the first to receive the division's Outstanding Performance award for 500 and 1000 hours of classroom training. Astronaut Frank Borman presented the awards. In January 1968, Don returned to work for the Boeing Company and was assigned to the technical integration contract supporting the NASA on the operation and acceptance of data related to the Apollo flight control system. This contract began with the acceptance of spacecraft 2TVI for testing in the vacuum chamber at JSC, to the CSM for the Apollo Soyuz Test Project (ASTP). 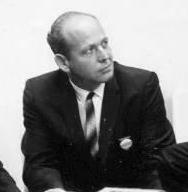 Don also supported the JSC Engineering Directorate through the completion of Apollo 11, and was assigned to Systems Safety for the remainder of the Apollo related programs. As lead safety engineer, he was responsible for the publication of detailed special safety studies and mission safety assessment prior to each Apollo related mission. The safety support activities included the Skylab and ASTP missions. With the assistance of one engineer, all the command service safety documents were provided to support the ASTP. Also, he worked with the Russians to receive their equivalent mission support documents for language translation. The mission safety document to support the ASTP was very unique since it addressed both vehicles, as well as the docking module, for on orbit operations. Don was already working on the Space Shuttle flight control and guidance systems before the ASTP mission. He continued to work all aspects until an increase in manpower allowed the development of a group to work all avionics and software safety activities for the Shuttle. Don was promoted to supervise the group. By the last Challenger mission he was in charge of all Space Shuttle safety activities, and was working the backup Safety Counsel for that mission. His team performed many special studies for all parts of the Shuttle operation until the operation (SR&AQ contract) was changed to another contractor. He continued with special activities with the new contractor until his retirement in 1995. Thoral "Gill" Gilland's career began during the WW II era when he served as a training supervisor and safety engineer for Hawaiian Airlines in Honolulu. Gill was also an instructor/teacher at the Navy Teacher Training Center in Chicago, and a teacher at the Oklahoma City Trade School. He was a student teacher and flight instructor at Oklahoma A&M College on the Vocational Education for National Defense (VEND) program, and a Ground instructor on flight and aircraft maintenance subjects at Western Flying Training Command, U.S. Army Air Corps. His aerospace career at North American Aviation began in 1950 when he joined the company as a Rocket Engine Mechanic. He was assigned to the Research Department at the Propulsion Field Laboratory in Santa Susana, CA. While working at the Laboratory, Gill advanced through the ranks to Assistant Supervisor. He also participated in the design of the Redstone, Jupiter, Thor, and Atlas Weapons Systems; Saturn V Booster system for the Apollo lunar mission, and preliminary development work for the liquid hydrogen turbopump, which is presently incorporated in the Shuttle propulsion system. Gill was a Field Engineering Representative for the Rocketdyne Division and provided technical services for the Ordinance Guided Missile School in Huntsville, AL, and Vandenberg AFB in California. He provided technical assistance and engineering liaison to General Dynamics/Astronomics Base Activation personnel on Rocketdyne supplied propulsion systems and GSE. His assignments also include the Nevada Test Site of the Atomic Energy Commission in Mercury, Nevada where he installed test stands, instrumentation and turbopumps, and advised the customer on checkout, operation and maintenance tasks. In 1963 he transferred to the Apollo Logistics Department as a Customer Training Specialist on the Apollo Training Team. He planned and implemented manpower development programs to enhance technical proficiency of customer, company, and supplier personnel, including the NASA and the astronaut team. He assisted in cross training and orientation of newly hired instructors, prepared text and illustrations for training manuals, Apollo Operations Handbook and the Flight Crew Checklist. As the Apollo program began phasing out in 1971, Gill elected to retire and devote more time to family matters and his farm in North Dakota. His finishing words for this biography were "Working with the Apollo Training Team was an enormously satisfying experience and I take great pride in submitting this material for the archives." Gill has retired near Yosemite National Park in California "where the eagle soars"
Commercial pilot # 31391 (since 1934), Flight Instructor, Ground Instructor, and A & P Mechanic. Honorary Lifetime Membership in the North American Rockwell Management Association, Southern California. Note: Sorry to report that Instructor Engineer Thoral E. (Gill)Gilland passed away August 12, 2007. Gill will be missed by all, and it should be noted that he contributed greatly to the development of this site during his final years at ages 90 and 91. 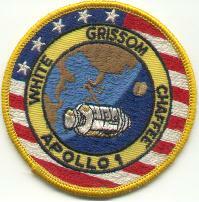 Man Space Flight Award in April of 1973 - Trip to watch Apollo 13 launch from the Kennedy Space Center. Three NASA Achievement awards for special studies and work performed during mission support for anomalies. NASA Group Achievement Award for support of the ASTP guidance and control- working group during preparation for the mission. Don has retired in his home state of Texas.